1. Find your nearest top-rated walk – the recent ITV Top 100 Walks had loads of inspiration for great places to wander, climb, hike or meanders, depending on your required level of exertion. 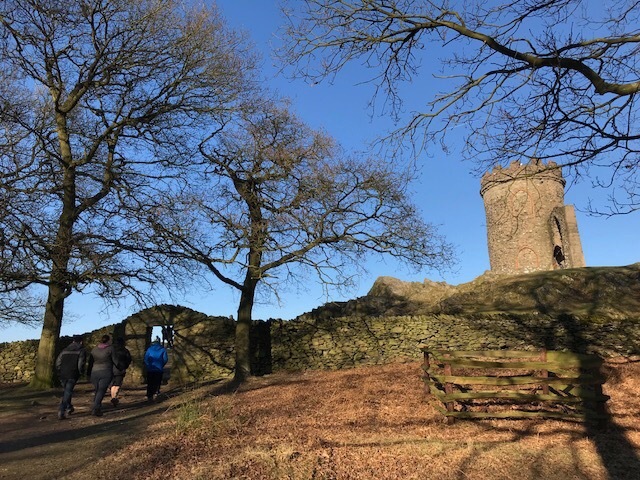 In Leicestershire, our closets walk from the programme is Bradgate Park. We’ve been going there for years and love it. Even when it’s busy, you can still find quieter areas, especially if you walk north of the main path. Wander by the ruins of the old house, a bubbling stream or clamber on the rocks by Old John Tower. Look out for: Deer, the park run a large herd; views of Leicester, Bardon Hill and surrounds from the highest point. Access on foot from Anstey or Cropston, bus to Newtown Linford, or three car parks on the edge of the park. More information: the OS GetOutside site has a full list of all 100 walks here. 2. Walk around your town or city centre in your lunch hour or after work. Anyone can do this. For us it’s Leicester, and if you’re local, you’ll have noticed a fair few changes over the last few years. While we were out of the UK, the city didn’t just go Richard III and Premier League winning crazy. 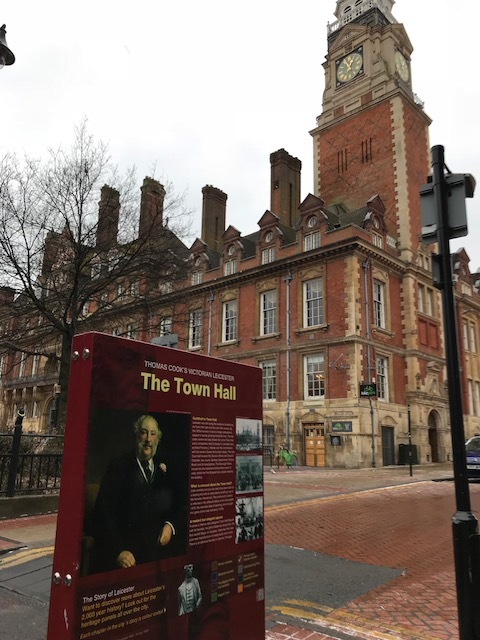 There’s been lots of improvements to pedestrian and bike routes in the city, and a lot of new information boards to tell us all about Leicester’s past. Have a read of these, pop into the Cathedral or hunt out as many blue plaques as you can! Look out for: Thomas Cook, all the football murals. Access from anywhere in the city, travel in by foot or bike using the Great Central Way or one of the other National Cycle Network routes. There’s an information board at the train station, which has an impressive frontage. More information: Look around in your town! Or try your local library. 3. Ride some country roads on your bike. Pick the smallest roads on your map (especially any labelled ‘gated’) and head out. While it’s still chilly aim for a coffee stop somewhere en route. For Leicester this means some of England’s very best cycling in the area around Market Bosworth. That’s right, England’s best – (very) gentle rolling countryside, pretty villages, narrowboats on the Ashby Canal, steam trains on the Battlefield Line. In particular, between Hinckley, Heather and Orton on the Hill there’s a network of small lanes that on a weekend mornings usually have more bikes than cars. Our favourite stop to get warm is Jasper’s in Market Bosworth – probably the best coffee in Leicestershire. Or try some local cheese at the Leicestershire Handmade Cheese Co in Upton. Plenty of pubs around too! Look out for: Boats going over the aqueduct at Shenton; lots of other cyclists; us! 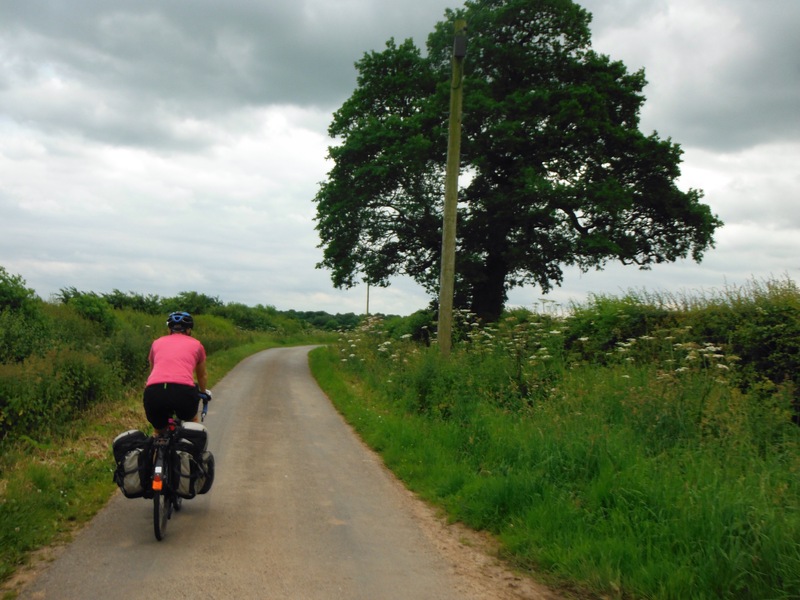 Access: Pick a sensible cycling route from your area using low traffic roads. If you’re not sure, contact us or your local Breeze/Let’s Ride Leaders for advice. You can also use the British Cycling site to find ride buddies. You could make it easier from the centre of Leicester by popping your bike on the train to Narborough or Hinckley to cycle from there. More information: Use OS maps online to look for areas with lots of small roads (and your refreshment break). 4. Do a journey by foot that you would usually use other transport for. Being car free, usually it’s a bike ride or train trip to get from Narborough into the centre of Leicester. A few weeks ago I had a look at my OS map (Landranger 140 map fans) and realised I could get right into the centre of the city with very minimal road walking. It took me about 1hr45 mins, so a bit longer than usual. I walked along part of the original Fosse Way (Roman road), through countryside, and along a river. In the 12km ish I only had to walk by a road for about 1km. I had a great time and saw a few things on the way that I’d not noticed from cycling a similar route, like the amazing Aylestone Packhorse Bridge. Access: If your journey is too long, get a bus or train part of the way, then walk the rest. I’ve now walked from Leicester city centre to Fosse Park a few times and got on the bus from there. I don’t have to walk on the roads at all in that journey! Planning: Use OS maps online to look for footpaths. Visit your local tourist information to see if they have walk/bike maps for your area. 5. Go to your nearest woodland area or Forestry Commission site. Walking in woods is even good in the rain. There’s plenty to look at and lots to do if you’re out with kids. 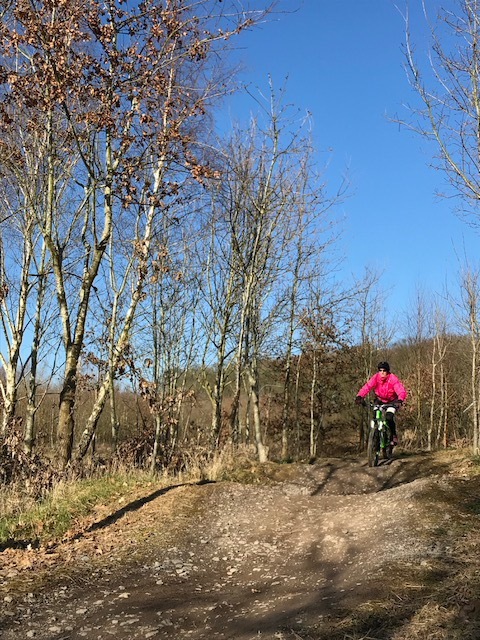 There’s a number of these in the midlands, most recently we went to the National Forest Cycle Centre at Hick’s Lodge, near Ashby de la Zouch. You can take your own bikes, or hire there. There’s different off road trails depending on how hard you would like to work. Even the most challenging trail there can be done by most riders – you can make it harder by going faster or trying some MTB tricks. We saw a family with a 4 year old cyclists taking it on last week – they just had more rests! Everyone will have ideas about how they can get outside more in their local area. I suppose the bottom line is – just do it! ← Back to reality: I miss my spork!